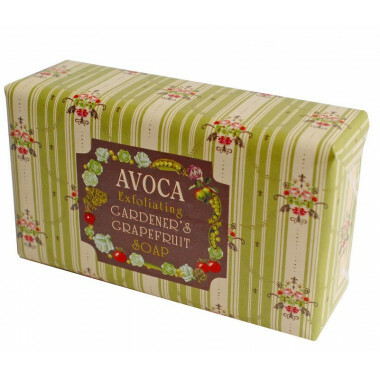 Exfoliating Gardener's Grapefruit Soap by the Avoca brand. 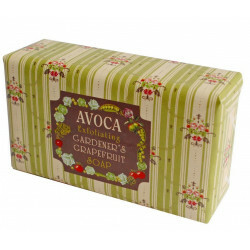 This Gardener's Grapefruit soap is the only exfolating soap of the Avoca range. 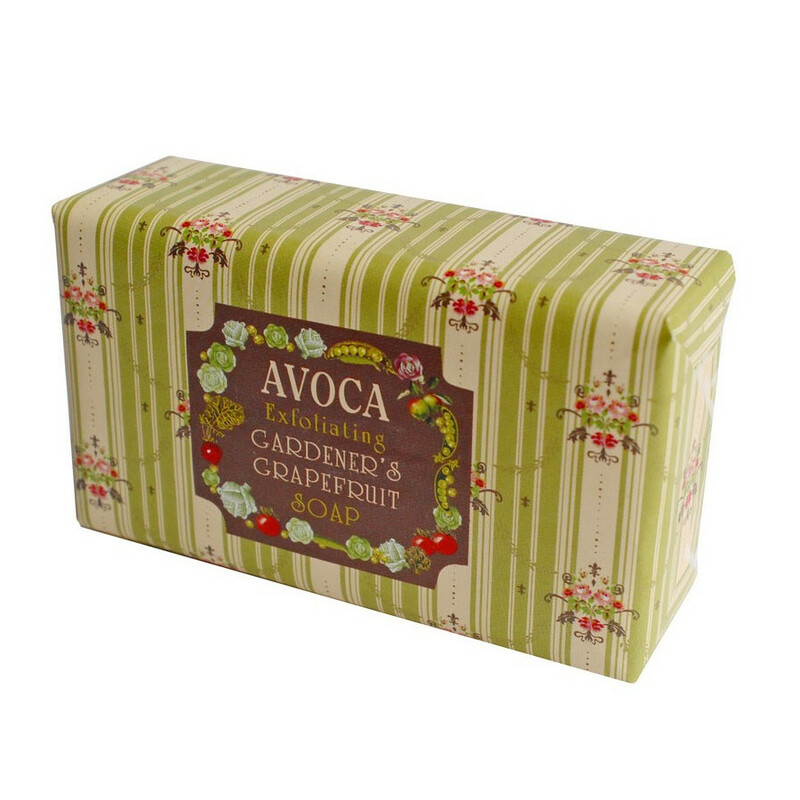 Scented with fresh grapefruit, this soap is made with palm oil and coconut oil. 100% vegetal oil. This soap has not been tested on animals. Ingredients: sodium palmate, sodium palm kernelate, water, perfume, glycerin, sodium chloride, shea butter, sweet almond oil, titanium dioxide (CI77891), EDTA tetrasodium, tetrasodium editronate, linalool, citral, limonene, citronellol, linalool.